4th and last English team to enter these quarter-finals, Manchester United will have a lot of work at Old Trafford to contain the Barca. The English are going to rub shoulders with one of the great favorites of this edition 2018-2019 and the challenge looks huge for them. Faced with an opponent against which they do not succeed in recent years, including two defeats in the finals of 2009 and 2011, the Mancunians will have to overtake if they want to approach the second leg with confidence. But in view of their last league games, United is likely to pass a difficult match. In defeat with 3 defeats in their last 4 games, the players of Solskjaer approach this quarter-finals with a lot of questions and little certainty. Miraculously against Paris Saint-Germain in the previous round, the Red Devils expect to live a different opposition to the Catalan ogre. In top form, the Barcelonese go to England with the maximum of confidence and will want to put an end to any suspense very quickly. 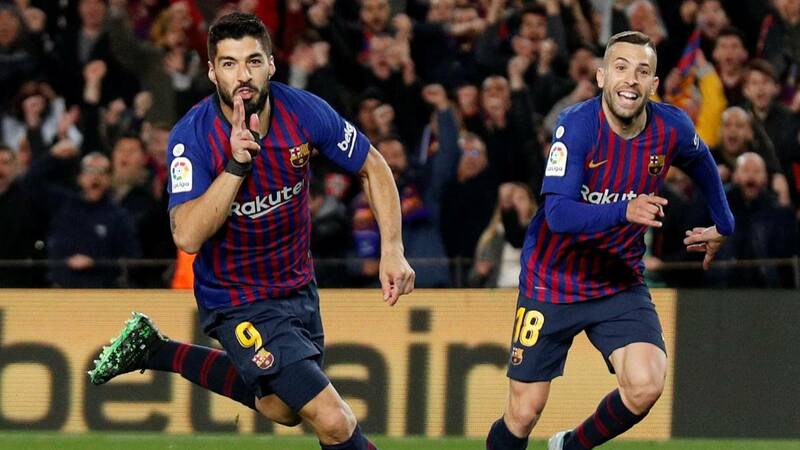 Almost assured of the title after his success last weekend against his dolphin of Atlético, Barca is still in the race for a triple Liga – King’s Cup – Champions League at the end of the season. And to get there, they know they will have to pass the Manchester obstacle. To do this, the Barca will once again count on his captain, Lionel Messi, who has been leading the Catalan team since the beginning of the season. Still decisive last weekend, the Argentine is in a sparkling form and will once again want to shine in the most prestigious European competitions. With players in shape at all positions and an impressive strike force, the Barca could be a mouthful of Manchester. It’s a quarter-final that should be very offensive. Manchester have only won 2 of their last 5 games. At home, Manchester have won only 2 of their last 5 games as well. Barca have not lost any of their last 5 games. Barca have lost just 3 away games this season in all competitions. In 4 Champions League contests since 2008, Barca won twice, for 1 draw and 1 loss. It’s a clash that should see goals between Manchester United and Barca. The English, surprise guest of these quarterfinals, will have much to do against the Barcelona ogre. In their last games, the Red Devils know that they have to recover if they do not want to take the broth. But Catalans move with confidence and serenity. Winners of the clash against Atlético in La Liga last weekend, they are almost assured of the title and will therefore be able to focus a little more on the Champions League. Guided by an untenable Messi this season, the Barca can end the suspense in the first leg. We bet on a victory for the Catalans.